Any coffee addict “signs” missing from the list? First of all, if you don’t plan on reading this entire post read this —> waffles are much different from spaghetti. In fact, I think the only characteristic the two foods share is the insane amount of carbs. If you remember this concept, I predict that any sort of relationship with any woman you have in your life will improve drastically. Maybe all it means is that you understand your mom better. Or your friend. Or your sister. Or any individual belonging to the female species. You do not need a survival guide. Or a book. Or a list of rules. Spaghetti must become your new favorite food. Second only to the Bread of Life. (Cheesy pun intended). If you failed to notice, girls are really good at not giving away anything. You could be talking to her about one thought while she’s thinking through a million–at the exact same time. This is called multi-thinking. To play it safe, assume that if you haven’t thought it, she’s thinking it. The list goes on and on and on and on and on. She’s thinking of every detail. NOW, that was an example of multi-thinking. I hope I didn’t scare you. I’m only being realistic. Another thing, this IS NOT to say all a girl ever thinks about is her future wardrobe and dates. This is not true at all. If I asked these exact questions with every guy I met I’d be in an even more complex state of mind. She needs your help, but she forgets to ask. Multi-thinking is a habit that is constantly occurring. It occurs in the subconscious and conscious. It’s exhausting. If you would be a gentleman and lay out your intentions-whatever they may be- right away, she will be eternally grateful. She’ll only have to think and inquire about what you haven’t brought up. Her brain will be less likely to explode. Girlfriends have trouble assisting their girlfriends think about one thing at a time. It’s nearly impossible. If you’re still with me, AWESOME. Since you have the enviable ability to think things through slowly and thoroughly, and even one thought at a time, let this marinate your thought process for the next 24 hours. P.S. I’m writing a post just for the girls too. What do they need to know about guys? How are waffles distinct? There are days when bus stops are no fun. But still, you drag yourself on and on. Lectures are taught when the sun is behind shrouds of clouds. Sweaters are too bulky, particularly around the cuff. It shows right there on your blog. Words not coherent ‘n’ all that good stuff. You find yourself thinking of your trip to Waikiki. It’s the first week of classes, don’t forget your school passes, bus passes, or glasses! I learn as I go. I don’t think I’ve ever gotten anything right the first time. I’ve learned more by making mistakes than I think I would’ve if I hadn’t made them. I believe it is my duty to impart with some little snippets of wisdom. From one fellow grammar Nazi to another, please, feel free to keep any corrections to yourself. I only drank one cup of coffee today. WARNING: SARCASM INTENDED. STOP HERE IF YOU CAN’T LAUGH AT YOURSELF. you no longer have the ability to be the teacher’s pet. you are ONE fish in one very large school. friends will come and go. some people are placed in your life for a season. Others for longer. the latter are usually able to stand two tests which either make or break friendships: 1) distance 2) time. 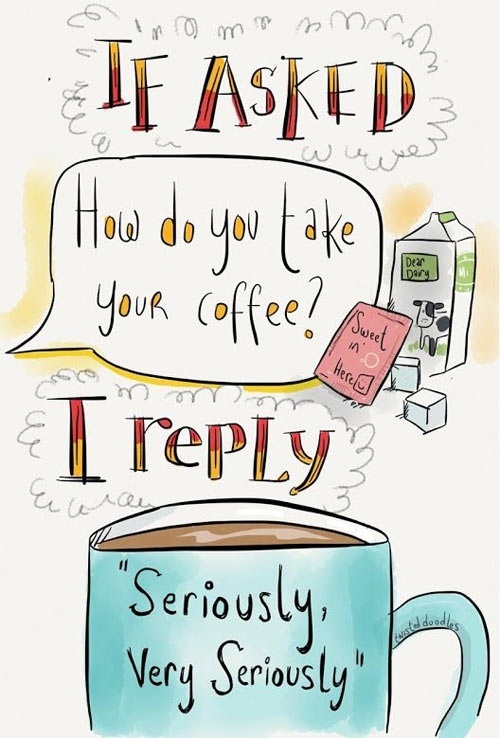 i’m assuming a majority of you drink coffee or some caffeinated liquid. look at your class schedule. plan accordingly for caffeine crashes. if all of your classes are in the morning, by all means, help yourself to a cup of Joe, tea, your chock-full -of-energy drink of choice. If you intend on accomplishing your homework in the afternoon, you might wanna have a second cup after lunch. believe me. i’ve learned all of this by trial and error. don’t be that person who orders three extra shots of caffeine in their coffee. if you’re that desperate, there is a cure. it’s called sleep. summer classes. i took a fifteen credit load in the summer. entirely online. i spent 130+ hours on one five credit math homework. imagine a year-long math class, then a semester class and then a quarterly class and the an 8 week class. 130+hours for one class alone. plan accordingly so that you do not have to put yourself through something that stressful. you’re only human. not everybody places into calculus first semester the way ALL freshmen are supposed to. it’s OK. i placed into Algebra. i worked hard and received a B. better to work hard and receive a B than not work at all. worth ethic will get you a LOT farther than 4.0’s. in case of an emergency, take a tip from Gracie Lou Freebush. A.K.A, Miss Congeniality, Gracie Heart, Sandra Bullock etc. and just S.I.N.G! Solar Plexus, Instep, Nose, and Groin 😉 Congratulations. You’ve just mastered your first self-defense lesson. ask questions. find out EXACTLY what your teacher wants. make sure things are crystal clear. For example, does your math teacher expect things done a certain way? Let’s face it, most teachers prefer assignments done a particular way. if you can’t ask your teacher, ask the TA, if you can’t ask the TA, ask someone who has been in the class before, if you don’t know someone who has been in the class before, ask a different teacher in the SAME DEPARTMENT. your math teacher may know your English teacher, but his or her English skills probably won’t be that great. don’t try to cozy up to your teacher so much that you become that extremely obnoxious person who sides with the teacher concerning everything. there is no such thing as a stupid questions. except, well y’know…..i just won’t go there. english class. always give constructive feedback to classmates. the least helpful thing for a person to hear is “oh that’s cool,” or “oh that’s stupid.” Always answer the five W’s. notes are important. i’ve learned that the hard way this quarter. however, note taking is only of good use to you if you a) number the pages b) preferably keep them in a spiral notebook. neat writing is kind of pointless if you have half of your lecture notes in a binder and the other half somewhere on your desk. you’re sharing a room with someone you’ve either never met before, share nothing in common with, will only keep their room clean until the first day of school starts, or is TOTALLY AWESOME. Be prepared for anything. you can only stalk a person on Facebook so much. the “e-harmony” of roommates only works so well. how do I know this? i talked with a friend at a going away party and she said her current roommate is actually on the waiting list for a single room. #awkward. amazon isn’t always cheaper. i recently recoiled in horror at this terrible revelation. i found out that one of my school textbooks is actually half the price at the school bookstore than online. this is the first time it has happened in five quarters so…..
if you aren’t the type of person who annotates and underlines frantically (like me) you should try renting books. so step 1) figure out how you best retain information. so, sometimes you can find the older version of a textbook for a lot cheaper simply because it’s a different edition. e-mail your professors and they may let you make copies of material not included in the older editions. not many people do this. mainly because they’re too lazy to make the extra effort and ending up spending more money than they’d like. and honestly, not many teachers are happy with their salaries and may therefore sympathize with your insane materials cost. hopefully you are at school for an education so, try to come away educated. harsh, but y’know. Finals: UGH. here’s my best advice. Set a tentative game plan. take out your handy-dandy planner schedule out the week preceding finals carefully. follow that as closely as possible. then be prepared for that entire plan to completely failed. so after plan A fails, choose the class most vital to your degree and make sure to not fail that one class. academic integrity. let’s get serious. you can bet I’ll write a separate post on this issue because I feel so strong about this issue. don’t cheat. please. it’s not worth it. i know “everybody” is making the decision to Google answers to that take home test. well guess what. you are not everybody. i could probably be an honors student if i weren’t an honest student. life isn’t fair. the bell curve isn’t fair. but YOU MUST think about how the decisions you make now will decide your future. don’t fall into that peer pressure. here’s the deal, many times people will try to justify cheating simply because things aren’t communicated clearly between your professor and the class-directly. look at your class syllabus. look at your test and/or homework instructions. 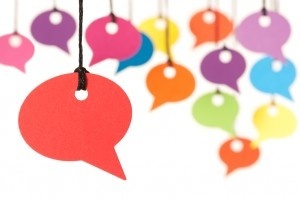 if something seems fuzzy, clarify with your teacher. ASK if you can use extra. there’s nothing wrong with that. student accounts : “welcome! you’ll need our services for the next four years of your life at (insert school name) please expect delays from day one of account creation. we no longer communicate via paper. WE’RE ADVANCED. therefore, from here on out, we’ll have our IT department open 24/7, because the best part about our services is that nothing EVER works perfectly. expect unexpected changes to occur with each log in and lack of communication and understanding from your teachers. we’re hoping that these dire circumstances will increase creativity among our students, who we desire to be as well-rounded as possible.” sincerely, The Team at ( insert name of school and account type). scholarships. brag away, because we all know that YOU are the reason YOU are here today. i.e 2.0 G.P.A, that one time you did that one thing with ASB. ahh but here is an idea! my third cousin twice removed was one-quarter Cherokee Indian. SCORE. no. just no. FAFSA. congratulations you are just rich enough but just poor enough that this one $5,000 Stanford student loan POSSIBILITY will hardly make a dent in the $200,000 + you’ll be paying for school. welcome to the middle class. WE ARE THE 99%. Need a Monday pick-me-up? Watch a Blimey Cow YouTube video. They recently started doing podcasts as well! Find your jam. And crank it up. From Left: Jordan, Kelli (Josh’s wife), and Josh Taylor. Me: Josh, tell us a little bit about Blimey Cow’s history, for those who aren’t familiar with your popular YouTube channel. 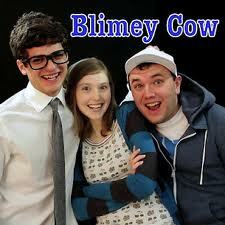 Josh: Blimey Cow is a YouTube channel started by myself and my brother Jordan in 2005. We produce a new video every Monday and Friday. Me: Have you ever met someone ( or multiple people) who you could relate too, but also look up to as a role model and be inspired by? Who is that person ( or group of people) and in what way did they inspire you? Josh: My family inspires me. We are all best friends. I’ve really had only one other best friend that wasn’t a part of my family, so I married her. I am seriously so blessed with the family in which I was placed. I am inspired by how they love me, by how they relate to others, by how they relate to God- and how all of those things are somehow interconnected. Me: In light of 1st Timothy 4:12 “Don’t let anyone look down on you because you are young, but set an example for believers in speech, in life, in love, in faith and in purity.” What are some little things young people could do in their everyday school and work lives that could potentially make a difference in their own lives and/or someone else’s? Josh: There is an optimism and idealism that the youth have that is invariable lost as time goes by. I think a lot of times when Scripture makes these kinds of references to “youth,” this is the idea. So, I guess I would say… dream big, ask uncomfortable questions, and don’t let mistakes slow you down. Josh: In my experience, “big goals” I set for myself change by the time I’m in a position to fulfill them. I think there is a difference between dreams and goals. All of the things I’ve always dreamed of doing, I’m getting to do. But usually when I decide on a“goal for the year” or some such thing, my priorities change. I would say… do the best with what is in front of you. The only thing predictable about the future is that it will take care of itself. Me: To you, what is the difference between living and just simply surviving? Josh: I am reminded of the quote by Soren Kierkegaard: “To be loved, is to be helped by another person to love God.” To me, that is living.